The Aspirations program is designed to give adolescents and young adults with Autism Spectrum Disorders (ASD) the opportunity to discuss their own vocational and social experiences in a small group setting and be guided in ways of how to improve their skills in these areas. Group leaders, familiar with Autism Spectrum Disorders, facilitate an atmosphere of acceptance and friendship. Developing self-awareness, social insight and independence are central themes of Asp irations. Aspirations is a social and vocational skills support group for high functioning young adults (13-30 years) on the autism spectrum. Aspirations is designed to provide the opportunity to discuss and learn about social and vocational experiences in a small group setting of eight two ten other individuals. Two experienced group leaders facilitate an atmosphere of acceptance and support as participants develop self-awareness, social insight, and vocational success strategies. Aspirations also provides an opportunity for group members to meet others on the autism spectrum and gain support and understanding from one another. Participants are encouraged to develop friendships with other group members. The program was established in 2002 by the Department of Neurology and The Ohio State University Nisonger Center. Aspirations runs for ten weeks and meets once a week from 6.30-8.00pm at The Ohio State University. The program is offered 3 times each year. After the ten week program, individuals join the monthly reunions where we now have around twenty young adults from previous groups in regular attendance. 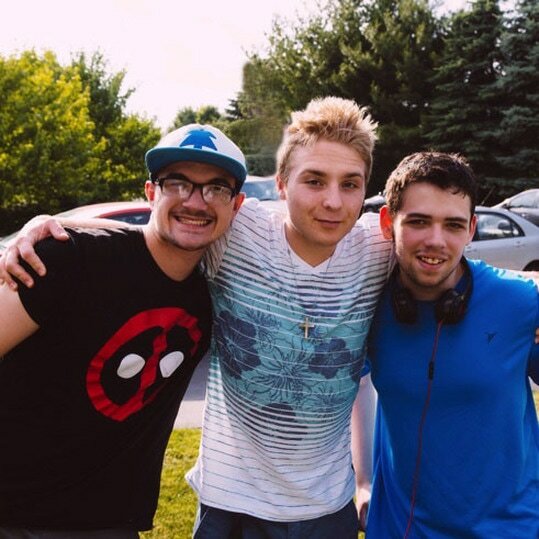 The reunions give the group members the opportunity to meet and socialize with a large group of young adults on the autism spectrum, and to practice the skills they learned during the ten week program.Many of our group members have made friends and meet up outside of Aspirations. We focus on a defined population of people — Asperger’s/ High Functioning Autism Spectrum Disorder (ASD). We are family focused — not just about role playing among teens. Parents program runs in parallel meetings with practical and relevant guidance from experienced professionals giving parents and care givers a chance to be among adults who live “it” every day. Teens and adults are in highly interactive and fun activities with guidance on how to enhance communication and self advocate. Very limited waiting period-groups run 3 times a year with immediate enrollment opportunities for teens and parents. Strong mentorship and extended bonding opportunities through reunions and informal events with mentors and sponsors. HOW MUCH DOES ASPIRATIONS COST? Aspirations is affordable and may even be paid for by county funding in some areas. CALL OR EMAIL FOR FEE AND FUNDING INFORMATION. Meets ten consecutive Tuesdays 6:30- 8:00 pm. After the nine week program there are monthly reunions where group members all meet up again. People who were in previous groups of Aspirations also attend the reunions. There are around 20-25 people on the autism spectrum who come to the reunions on the first Tuesday of the month for Adults. “Aspirations” takes place at The Ohio State University in McCampbell Hall, located on the medical center campus. Aspirations is a discussion group. The group facilitators provide topics of conversation each week. A topic of conversation could be “Making Friends”, or “Getting Along with Others in the Workplace”. Members of the group have many things in common with each other and have had similar experiences in the past. The group facilitators are there to help guide the discussion. In some ways it is like a counseling support group as group members have the opportunity to discuss things in their lives they find challenging and help each other to overcome those challenges. Teen Aspirations is a discussion group. Group facilitators lead conversations each week about topics that are appropriate and informative for teens. There are usually between 6 and 8 individuals in each group. Everyone has a diagnosis of an autism spectrum disorder, such as autism or Asperger’s syndrome. There are also two group facilitators who help guide the discussion and keep the group focused and on topic. Women of Aspirations is a branch of Aspirations Ohio that addresses the needs specific to adult women on the Autism spectrum by providing an opportunity to enhance social communication skills, build comfort in the community, gain a positive sense of self-esteem, increase ability to make choices, and provide an overall sense of social belonging. The general goal of Women of Aspirations is to increase the social networks and personal relationships of women on the Autism spectrum. We meet on the second Sunday of every month at the Clintonville Noodles & Company, or other various locations in the Columbus area for special events such as: Bowling, Swimming, Movie night, Hiking, etc. Men’s Aspirations is an off-site social skills program of Aspirations, tailored for male young adults (ages 16+) with high functioning autism. This program is intended to develop social skills with substance through culture, movement, and exploration in the greater Columbus area. Therefore, you won’t find us sitting at a dinner table struggling with forced small talk. Instead, you’ll find us working as a team at the bowling alley, the Olentangy Indian Caverns, Coliseum X, Sky Zone, the Franklin Conservatory, COSI, the Renaissance Festival, Hiking Trails, and more! It’s here we naturally exchange numbers, talk, foster friendships, get out of our comfort zone, learn something new, and find our strengths and weaknesses. For more information and to join our mailing list, contact Sheena Leedham at sheena@elitefts.net. Men’s Aspirations meets every third Sunday monthly. While our teens meet, parents engage in an expansive dialog with other parents and professionals from a broad spectrum of fields. This forum provides information that is vital to empowering us, as parents, to be advocates for our teens and to ensure that our teens have a voice in shaping their futures. Nisonger Center has changed our lives. 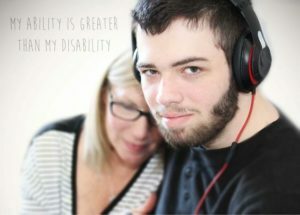 My son Jarrod was diagnosed with Autism at age 14. He had many other diagnoses but not autism. Jarrod’s therapist suggested getting him retested at Nisonger. We finally received the diagnosis. It was painful to hear at first but yet a relief. Now that we had the diagnosis we needed we could find the resources we needed. I don’t remember who told us about teen Aspirations, but it changed our lives. Jarrod got to meet kids just like him with the same issues he has to face. He made lifetime friends. It has built up his confidence. But I think that Teen Aspirations has helped me more. I found parents that are facing the same issues. I have made lifetime friends too. The parent group supports each other in so many ways. The sessions provide parents with resources that can be hard to find. We get information about transitions, college, finance, jobs, and much more. The best part of Teen Aspirations is that we are all here for each other, teens and Parents.